Sitting is arguably the best way to practice meditation. In my opinion, lying down makes it far too easy to fall asleep and standing up can become uncomfortable after a long period of time. Below are two postures to try sitting in while practicing meditation. Try the half lotus pose before attempting the full lotus pose. If half lotus feels comfortable and easy, feel free to move into full lotus. Provides a comfortable sitting position for resting the mind for meditation. Start in a sitting position. Straighten your legs together out in front of you. Bend your left leg at the knee and place your left foot with the sole resting against the inner right thigh. Bring the heel of your left foot as close to your body as possible. Bend your right leg at the knee and place your right foot in the fold of your left leg. Drop the right knee as close to the floor as possible. Sit in this position as long as you want. When your legs become tired, stretch them straight out in front of you again and gently massage your knees. Repeat the position but with the legs reversed (the left leg is drawn in first and the right leg is on top). For longer periods of meditation time without bodily movement. Promotes elasticity of the ankles, knees, and legs. Note: The full lotus position is an advanced yoga position that requires considerable amount of practice to master. If you cannot do half lotus position, you will not be able to do full lotus position. Bend your right leg at the knee and place your right foot on top of your left thigh. Bring the right foot as close to your body as possible so the right knee is able to rest on the floor. Eventually the right foot should be touching the groin. Bend your left leg at the knee and place your left foot on top of your right thigh. Bring the left foot as close to your body as possible so the left knee is able to rest on the floor. Eventually the left foot should be touching the groin. There are many different ways to sit while meditating, these are just two very common options. Play around and do some research to find what is comfortable for you. 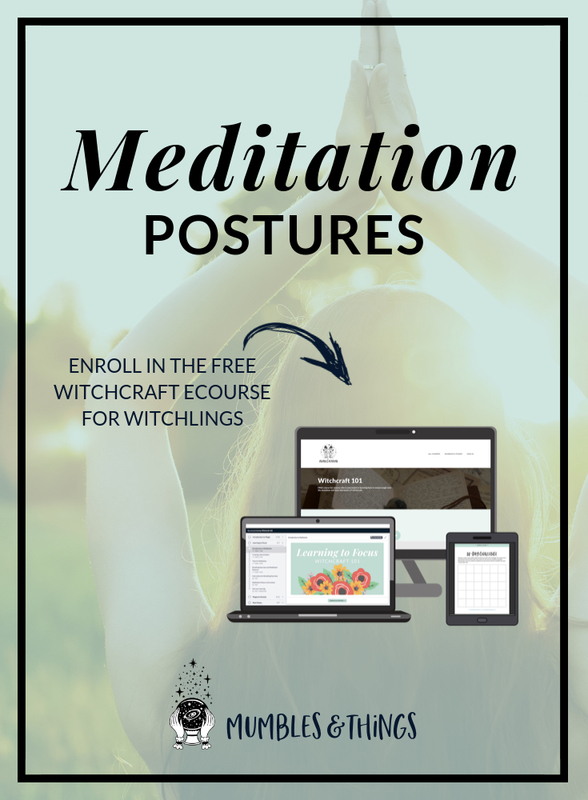 How do you meditate? Tell me about your practice in the comments below.